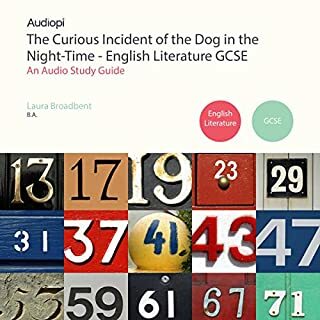 The Audiopi series of The Curious Incident of the Dog in the Night-Time by Mark Haddon examines all aspects of the story, including the major characters, themes, its context and the form and structure; it also discusses and analyses each individual chapter. To provide an insightful view of the novel to help throughout your listening, we have Chris Ashby, who played Christopher in the West End production, delivering key quotes. Students who have learning challenges would benefit from listening to these podcasts for clarity. I appreciated hearing details about the writing of this novel.